Many things keep business leaders awake at night. Declining profits. Changing market conditions. Retaining talent in a competitive environment. But one of the biggest and most persistent is fear that their organization is not complying with all applicable laws and regulations. No industry, no company is immune to the dictates of legal compliance. 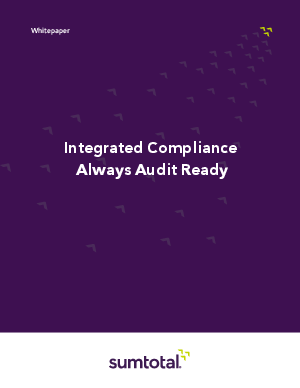 It might take different forms and involve different potential penalties, but every business must make compliance one of its highest priorities to ensure that its operations continue smoothly. This paper evaluates the technology available to ensure that you have the systems in place to be audit ready.